UHRC: Quotes for a thought; a must read on Human Rights breaches in Uganda! “I had a case of my brother who was arrested by police and was asked to pay UGX 100,000. But after the community meeting by UHRC, I learnt that police bond is free.” A participant in a community meeting in Luweero District (UHRC, P: 64, 2016). As there been a hectic year for Uganda, with the preparation for the General Election of 2016, the report from Uganda Human Rights Commission (UHRC), should have lots of instances where the breaches of violations towards political opponents and dissidents from the NRM-Regime. As the system is to uphold the status-quo and respect Mzee. I will today look through the Report and find the most staggering numbers and tales. To show what kind of actions the government does against their own citizens, in the name of the Executive and his reign to keep rule all for himself! “The top five respondents over the past six years (2010-2015) have remained the UPF, private individuals, UPDF, local governments and the UPS. In the six years, the UPF had a total of 2,646 (the highest number of complaints registered against a respondent), while private individuals had 1,271. The UPDF had 622; UPS, 205; and local governments, 200” (UHRC, P: 15, 2016). This here proves the level of violations from the Army and Police; the once that are surprised by that haven’t followed how the Modus Operandi of the security organizations in Uganda. “I was told by the investigations team they would follow up my complaint of being detained for eight days at Kakira Police Station. Indeed the Uganda Human Rights [Commission] team did so. I was never at any one point in time asked for facilitation to conduct the investigation until it ended. I now await the outcome of the investigation. By the way, it is upon the Commission’s intervention that I was released immediately. Investigations were conducted objectively and thoroughly to the extent that the perpetrators asked for my forgiveness.” (UHRC, P: 15, 2016). “I was arrested by the police from Adjumani Central Police Station on allegations of theft. 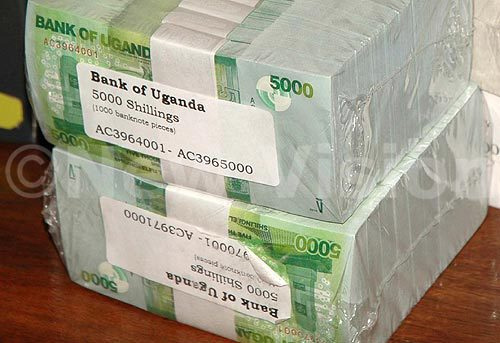 During detention, my money [amounting to] UGX 200,000 was taken and kept by the police. After conviction and serving my sentence in prison, I went to claim my money, but police told me it was an exhibit in court. When I reported the matter to UHRC, it was registered and investigated and all my money was paid back.” (UHRC, P: 16, 2016). “In 2015, UHRC closed 382 complaints after investigations. Of these, 287 were backlog files and 95 were fresh complaints registered during the year. 382 complaints were closed for various reasons, including successful mediations, insufficient evidence, receipt of remedy by the complainant, requests from the complainants, referral to other institutions, cautioning of respondent and not revealing any human rights violation. Other reasons included merging of files, failure to trace respondents and death of complainant” (UHRC, P: 17, 2016). “Therefore, the UGX 758,552,86813 that MoJCA paid as compensation to victims of human rights violations in 2015 did not cover any beneficiary of the complaints decided by the Commission during the period 2013 to 2015 (refer to Annex A). As of 31st December 2015, the outstanding awards against the Attorney General was UGX 5,047,671,968 (Uganda shillings five billion, forty seven million, six hundred seventy one thousand, nine hundred sixty eight)” (UHCR, P:31, 2016). Here is the reason for the delayed compensation of the awarded through the tribunal: “Delayed payment of Tribunal awards. Respondents, especially the Attorney General, take long to pay tribunal awards. Although the Ministry of Justice and Constitutional Affairs has argued that this is mainly due to limited budgetary allocations, UHRC has realised that the delay is sometimes caused by the bureaucratic processes that require the respective state attorney to form the first opinion on whether to appeal or clear payment of the award. This has caused untold delays, especially in cases where the state attorney may not be willing to recommend payment of the award, particularly where the Attorney General was not represented during the hearings” (UNHCR, P: 32, 2016). “K.S Awaiting ministerial order for 24 years. It was reported that he does not get visitors” (…) “B.E Awaiting ministerial order for the last 15 years” (UNHCR, P: 37, 2016). Many places don’t have transport for suspects of crime, they are taken random by public transport in places like Kole, Erute, Lira, Anyeke, Otuke, Pece and Kinene. With this result on place as well: “At Kamwenge and Bigere police posts, suspects were transported to court and back on bodaboda at a cost of UGX 60,000” (UNHCR, P: 44, 2016). Also inaccurate salaries and compensation of Police officers: “At Buganikere police post, an officer had not received salary since December 2013 and at Hima police station, five staff members had missed their salary of September 2015. At Rwangara police post, staff could not easily access salary because the bank was far away and they would have to incur transport costs” (UNHCR, P: 44, 2016). Even lacking basic structures is a problem at Police Post, Police Stations and Prison cells: “Detention facilities that did not have adequate water for sanitation and personal hygiene included Kiboga, Kasangati and Rubanda prisons, as well as Buseruka Police Post and Nakaloke and Bunkhongo police stations” (UNHCR, P: 51, 2016). When it comes to sleeping facility for detainees: “UHRC found that 234 out of the 896 detention facilities inspected did not have adequate beddings; so, detainees used either tattered blankets, mats or pieces of papers. This was observed in 41 prisons, 192 police detention facilities and one military detention place inspected. These facilities included: Mutufu and Ngora prisons; Ngai, Iceme, Aber, Kwera and Kangai police posts; as well as Dokolo, Otuke (adult cells), Agawata, Adwari and Olilim police stations” (UNHCR, P: 52, 2016). “UHRC noted with concern that although 1.2 million people in Uganda were aged 65 years and qualify for the SAGE programme, only 123,260 were benefiting. However, in August 2015, the government announced the roll-out plan of the SAGE programme to 40 more districts across the country over the next five years, beginning with 20 in the FY 2015/16 and subsequently adding five districts every year for the next four years until FY 2019/20” (UNHCR, P: 103, 2016). “There were allegations of infection by malicious software of communication devices belonging to various individuals, including journalists, believed to be instigated by state agents.156 It is alleged that once infected with this software, a person’s computer or phone could instantly be remotely monitored; passwords, files, microphones and cameras could be viewed and manipulated without the owner’s knowledge” (UNHRC, P: 141, 2016). “UHRC noted reports of the overzealousness and selective application of EC guidelines by the UPF, leading to their alleged interference in and denial of some campaign rallies, prevention of opposition accident victims from accessing a health centre for treatment, prevention of people from attending opposition rallies, violently dispersing opposition rallies and injuring supporters; and the arrest of opposition officials and confiscation of opposition materials such as manifestos. It is worth noting that the UPF took action on some of its errant officers and instituted investigations into the incidents” (…) “There were concerns about the alleged discriminatory nature in the way political players enjoyed rights and freedoms of assembly, movement and personal liberty, which did not, in many cases, favour opposition leaders during the electoral period” (…) “Although UHRC noted positive developments, such as strengthened internal mechanisms in political parties, the successful nomination of presidential, parliamentary and various candidates at the local government, and introduction of new technology, such as SMS and the online system, there were challenges that still hindered the realisation of the right to vote. UHRC also noted that some of the challenges identified during the previous elections, such as the timely review of electoral laws, had not been addressed in the run-up to the 2016 elections. In addition, UHRC notes that there is need to address evolving challenges, such as lack of internal democratic party processes, the emergence of crime preventers and militia during the electoral period, and the varied interpretation of laws, in order to ensure that the right to vote is realized” (UNHRC, P: 169- 172, 2016). Article 23 (4) should be retained and priority placed on enhancing the investigative capacity of the Uganda Police Force” (UHRC, P: 203-204). “UHRC made this recommendation to the UPF in 2013. In 2015, the UPF informed UHRC that police commanders and officers in the Criminal Intelligence and Investigative Directorate (CIID) were tasked to ensure that whenever suspects are arrested, files should be compiled, proper and timely investigations carried out, and the necessary procedure followed to take the suspects to court immediately. With the establishment of the Directorate of Human Rights and Legal Services at police headquarters and the deployment of regional human rights officers in 16 regions, this problem was partially addressed” (UNHRC, P: 223, 2016). Here you saw the definition of Human Rights issues, there we’re even more labor questions and education on Human Rights. The certainty is the levels of force from the Uganda Police Force (UPF) and Uganda People’s Defense Force (UPDF) that are extending themselves into the citizens sphere and not being there to create security; instead breaching the levels of trust from the security organization and the citizens. If you feel I left something behind, please put it in the commentary. This is for me the most important details; I couldn’t pick it all; as there we’re many breaches and many questionable actions towards the citizens that could be posted today. Because this is close to 2000 words, but the report are 296 pages. So the amount of details in the report could fill many pages more and a bigger article. This here is just a hunch of the breaches that the government and their institutions are doing, also the missing pieces to the laws and the institutions that’s securing the rights of the citizens. Peace. Uganda Youth Platform (UYP) and other youth organizations in the country wish to bring to the attention of the people of Uganda the prevailing abuse of our rights, arbitrary arrests, torture and other unbelievable acts of injustice the government is committing against us. The regime in power abducts, arrests, threatens death, detains, tortures and imprisons innocent youth with an aim of forcing them to work for and support NRM and intimidate the youth so that they do not speak up. Many youth have even lost their lives and properties. Recently Salongo Mawejje’s head was severed and has not been found. Youth in Sebambule, Butaleja, Lira, Kumi, Masaka, Mbarara, Gulu, Wakiso, Mbale, Mubende, etc are being intimidated, languishing in jails and many have lost property and hope. Of recent, Jude Nkoyoyo the General Secretary of Uganda Youth Platform was inhumanly arrested, detained in an illegal location, accused of tramped up charges. His home was raided, property confiscated and destroyed. He was denied a fair hearing in time. His life will never be the same again. The second case is of Waidhuba John, Coordinator Eastern Region. He survived a staged road accident. The tormentors ran away on a motorcycle. His home was raided. The third case is of Ewau Godfrey, the PRO of Uganda Youth Platform. He was abducted by elements from Flying Squad and detained at a facility operated by Special Forces Command. He was tortured, a hood tied over bis head, abused etc. Others are being threatened such as Brian Obiga, Chairperson of Uganda Youth Platform and Coordinator Northern Region. Mulani Rockefeller, the Assistant Coordinator UYP Mubende was also arrested, detained, tortured and forced to work for and support NRM, President Museveni. Other youth who have been arrested from different parts of the country and tortured under hands of regime agents are: Payira Bonney, Okot Thomas, Otim Sparraw, Winnie Nakajjubi, Norman Tumuhibise, Okure Nathan, Okia Constant, Aguda Moses, Nsubuga, Nuwagaba Christopher Ojobile and hundreds of other youths. There is now an atmosphere of fear for their lives. Thousands of youth are being rounded up daily and taken to jails and safe houses under the guise of being idle and disorderly. How can someone be disordely or idle at his home? That they are loitring in the city and towns. How can a government that is not creating jobs arrest people for nor working? If the youth dont come to towns to look for work, how are they expected to eat and pay rent and feed their families? We understand that government fears the youth that they engage in civil disobedience so it prefers to keep rounding us up and throw us in unknown places. But there are 30 million youths! Where will they detain 30 million of us? It’s therefore, upon us to either accept and surrender to these unjust acts forever, or join hands and say ENOUGH IS ENOUGH. Fellow youth of Uganda, our generation is now a lost generation because of the increasing and un-ending injustices committed against us. We, as Uganda Youth Platform (UYP) wish to remind you that it’s our constitutional duty to be actively involved at all levels of our country’s governance. UYP as a legal civic network of all youth in Uganda calls upon Ugandans and international community to condemn such dictatorial acts. We aim to have a new government that will cater for our needs. We want the Uganda Human Rights Commission to get interested in these cases of human rights abuse and also the Chief of Defense Forces and Chief of Police to tell the country whether these actions are officially sanctioned actions since those carrying them out come from the institutions they lead. We demand that all Presidential candidates address themselves to this issue of security for the youth and condemn these acts of thuggery by state agents. We shall not surrender, we shall not waver, we shall struggle on.